Florida Division of Emergency Management makes several key resources available to support disaster readiness and response efforts. 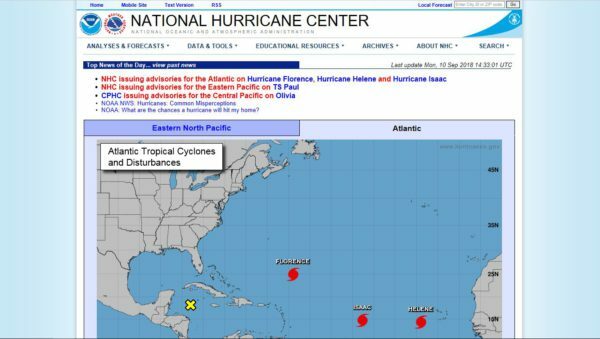 NOAA’s National Hurricane Center – For the most authoritative source for Hurricane Advisories visit the NHC website at https://www.nhc.noaa.gov/. FEMA’s Hurricane Incident Journal – Provides relevant spacial decision-making support and is available to the general public at https://bit.ly/2MXR7Zb. NAPSG has a light-weight and publicly accessible situational awareness viewer for the community to access basic information on incidents and forecasts. Visit: https://bit.ly/2OgwNit. Use this app and map to get a picture of 2018 hurricane damage at the ground level. What Is It? NAPSG Foundation is partnered with the International Association of Fire Chiefs (IAFC) to make a standardized mobile application and tool set available for first responders to rapidly collection location-based information during a disaster. Who Is It For? First Responders, Incident Command Staff, and EOC Staff – Local and State search and rescue teams that are staging and responding to any type of event can deploy the mobile application. Field data collected through the tool can be visualized in dashboards, viewers, and reports to support increased situational awareness and improved decision making in the ICP and EOC. FEMA has released two standardized template forms that match the information required by FEMA to evaluate requests for the Public Assistance (PA) and Individual Assistance (IA) FEMA Recovery Programs. 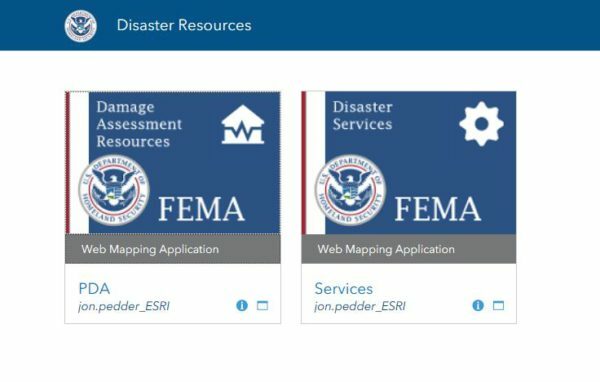 For more information on the FEMA PDA Templates and technical guidance to support implementation, visit: https://bit.ly/2x6DbSO. This page contains curated maps and apps that support response and recovery for Hurricane Florence. https://bit.ly/2NyvqhY. Access nearly 400 geospatial data layers for our nation’s key infrastructure through the HIFLD Open website hosted by the US Department of Homeland Security (DHS) in collaboration with the National Geospatial-Intelligence Agency (NGA). 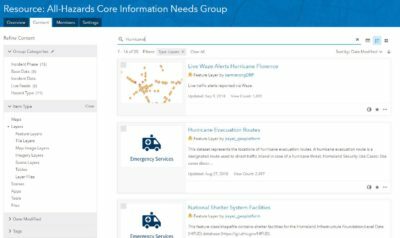 Publicly accessible infrastructure data can be used to support basic planning and situational awareness for mutual aid resources for all types of disasters, including hurricanes. Visit HIFLD Open to begin exploring open infrastructure data for the nation: https://hifld-geoplatform.opendata.arcgis.com/.